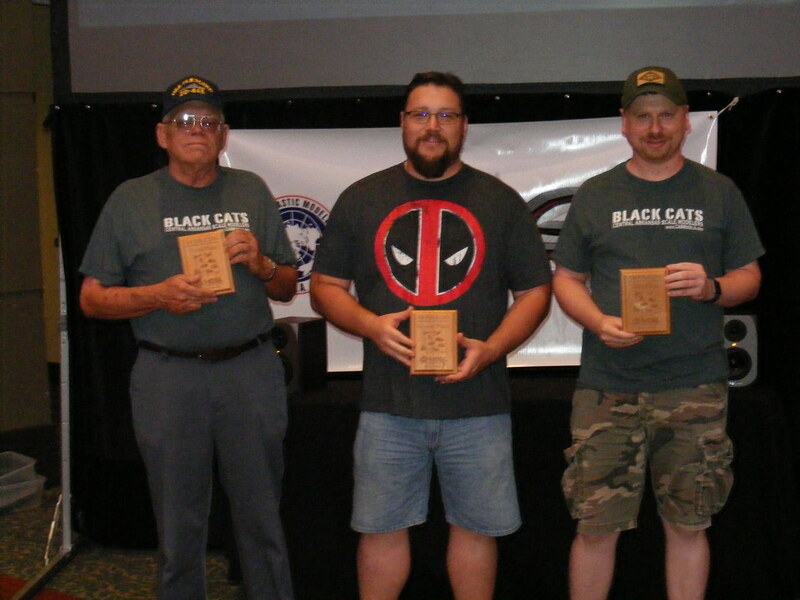 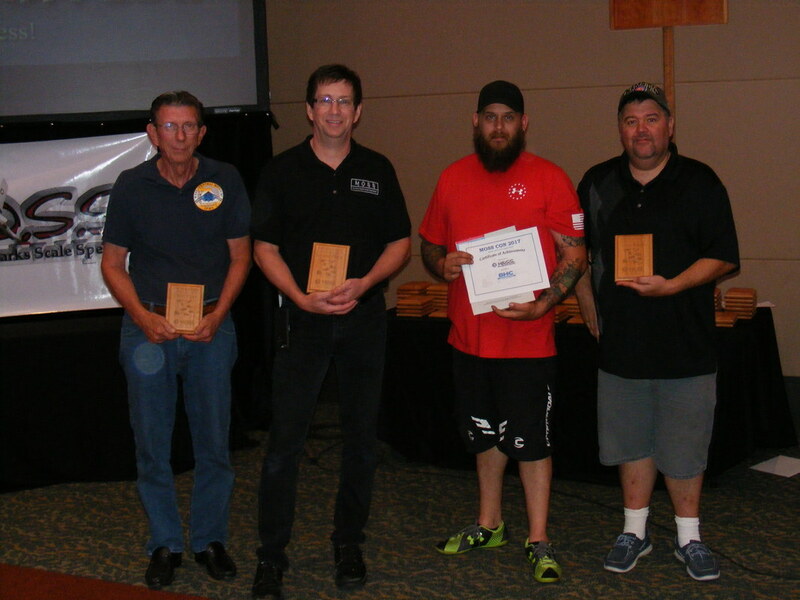 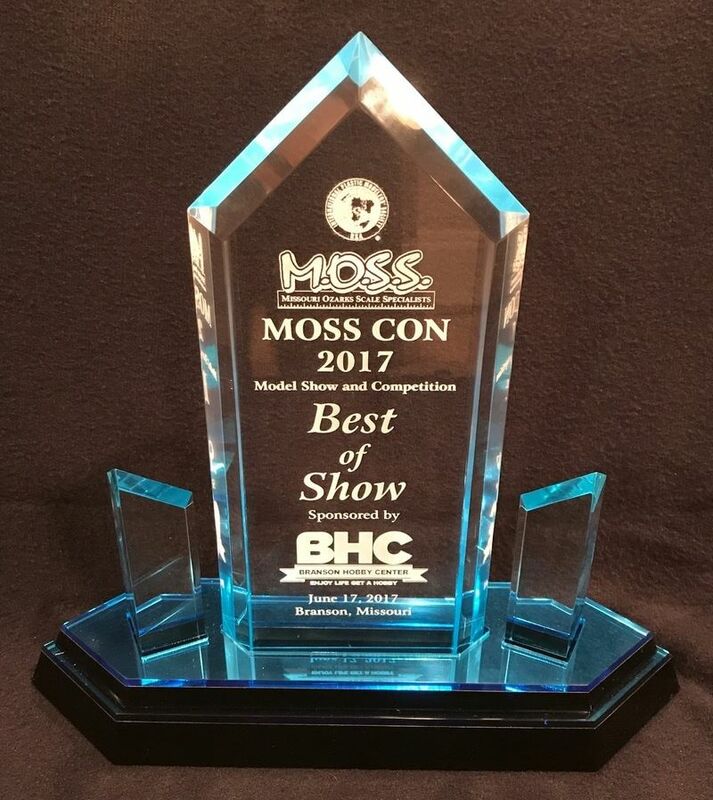 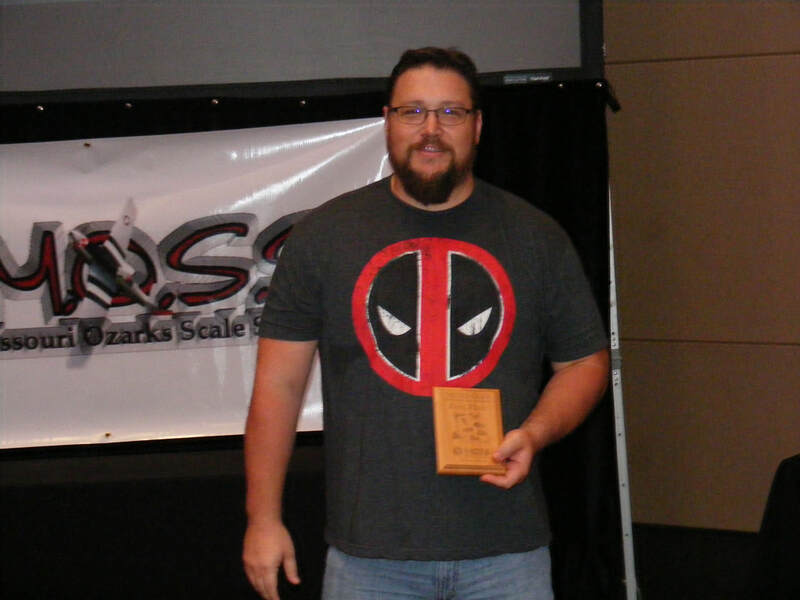 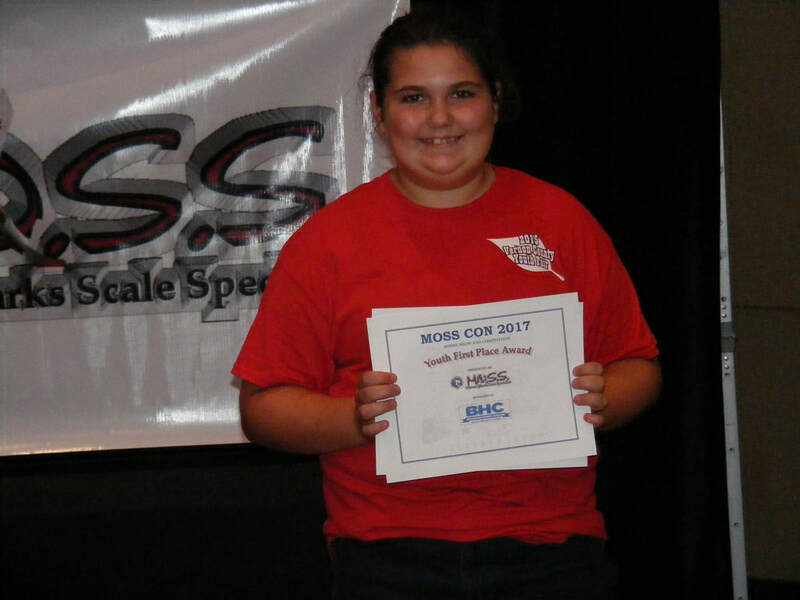 On Saturday, June 17th, IPMS/MOSS hosted our 7th Annual Scale Plastic Model Show and Competition -- MOSS CON 2017 -- at the Branson Convention Center in the heart of historic downtown Branson, Missouri. 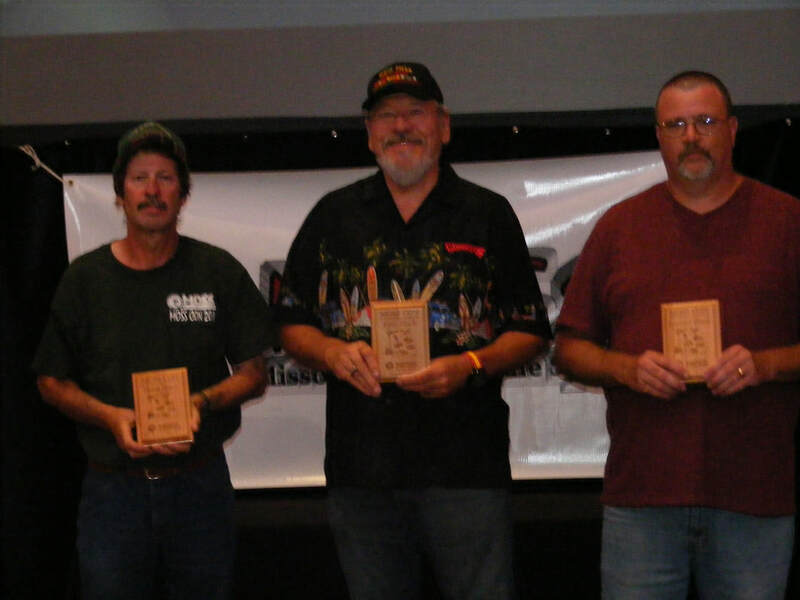 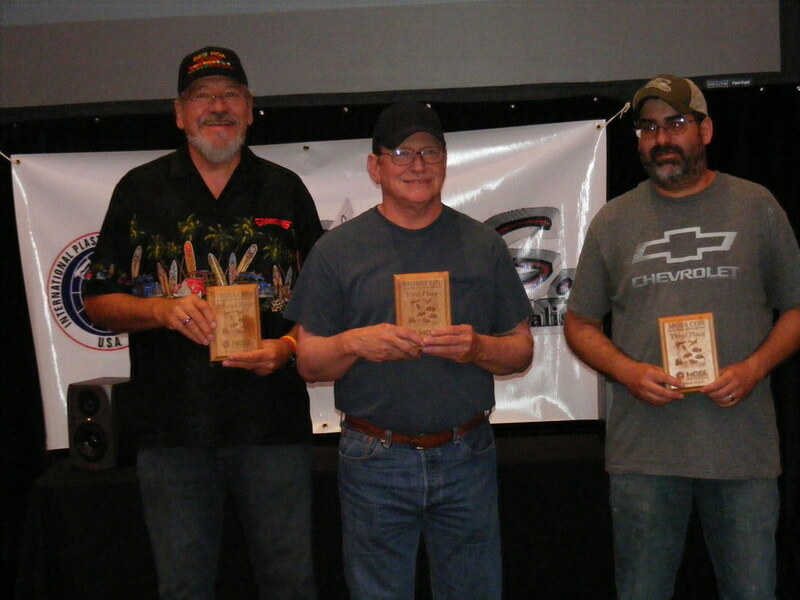 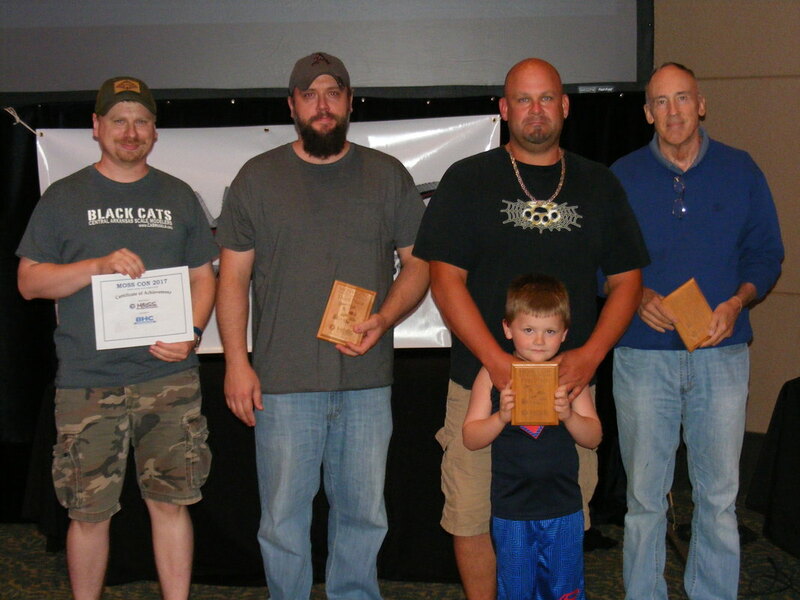 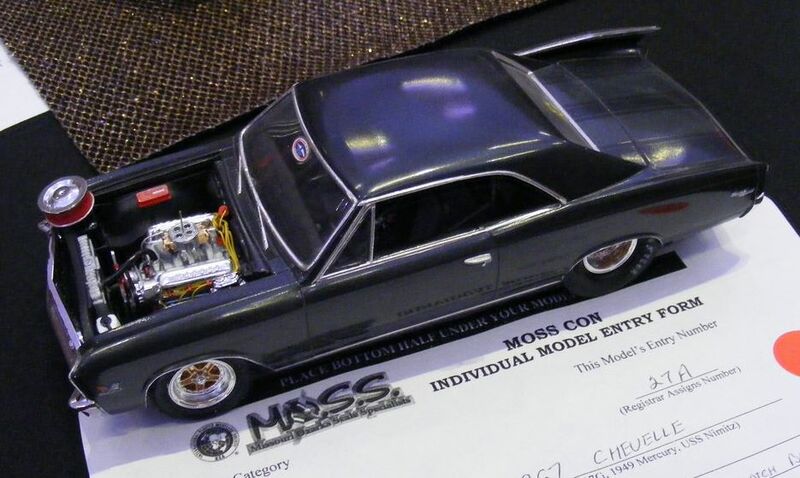 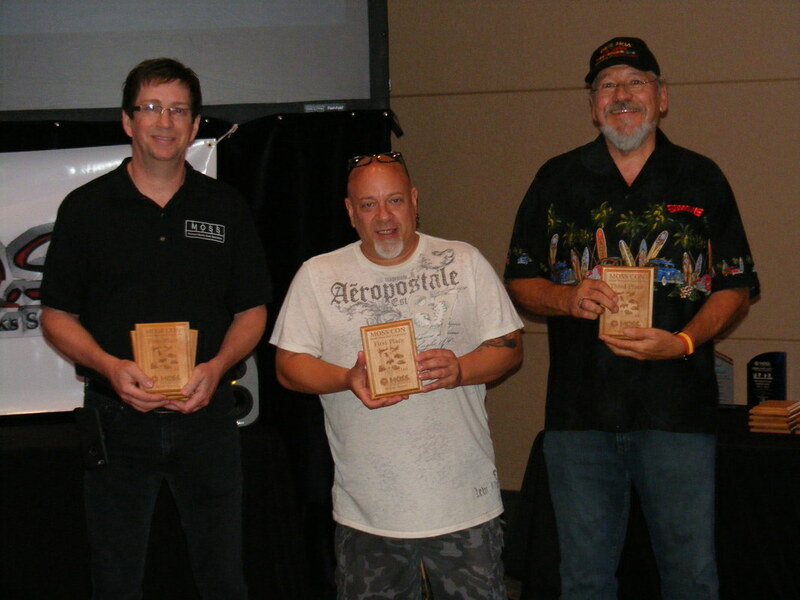 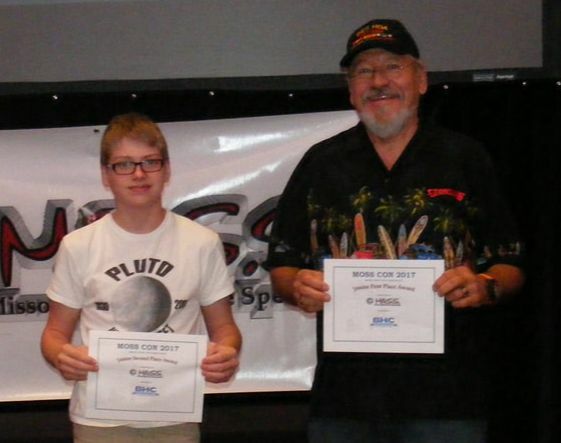 ​​ 41 modelers from Missouri, Arkansas, Kansas, Oklahoma, Iowa, and Nevada entered 197 models into the competition! 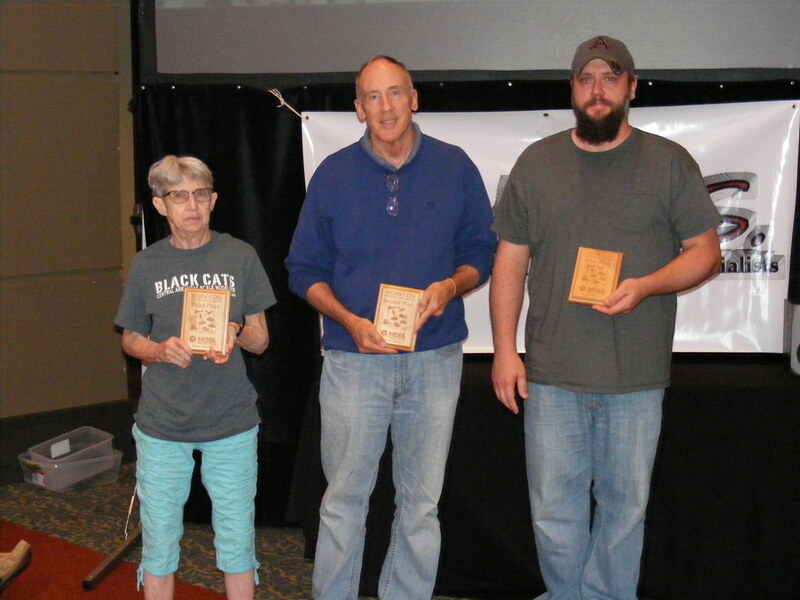 12 vendors were selling at 26 vendor tables, and we had over 150 visitors throughout the day! 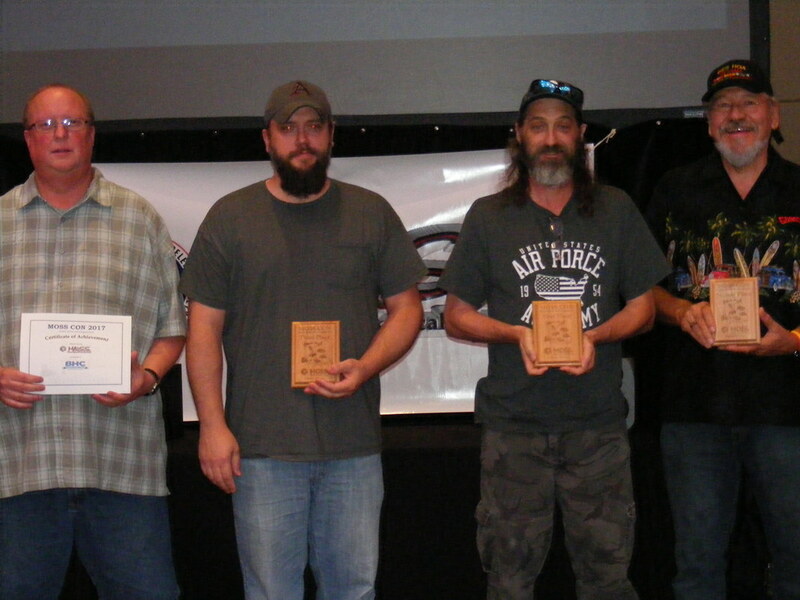 ​ We are continually grateful for all those who came out to participate in and support the show! 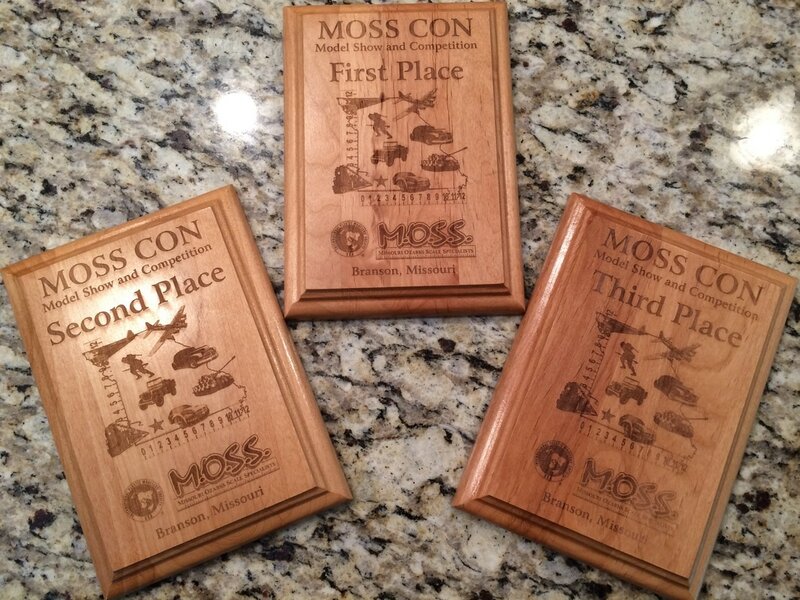 We look forward to seeing you at the IPMS Region 5 Regional Show -- MOSS CON 2018 here in Branson! 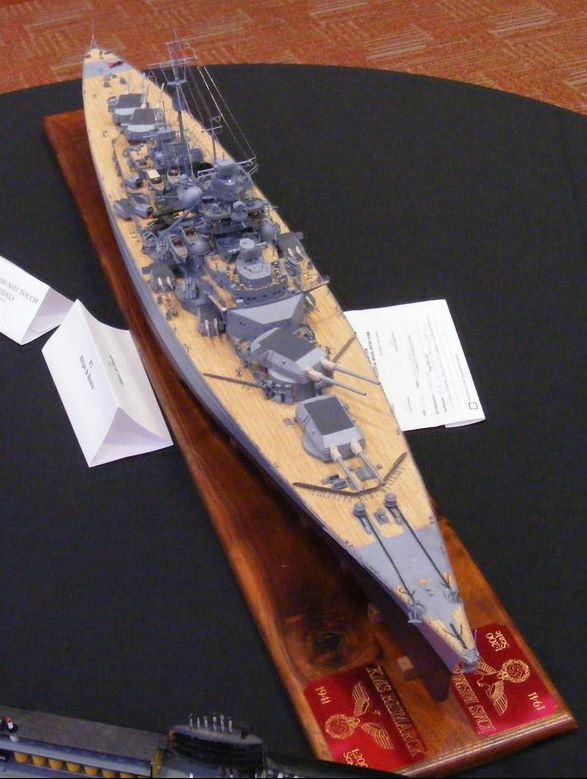 More than 100 years have passed since the outbreak of World War I. 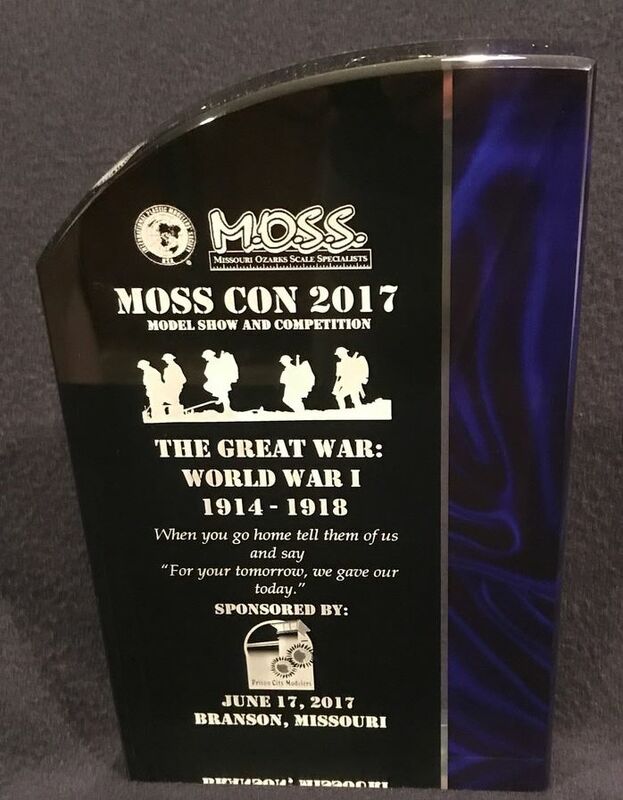 To commemorate the sacrifices of so many Soldiers, and the technological advances brought about by this war, MOSS offered the The Great War: World War I 1914-1918 award. 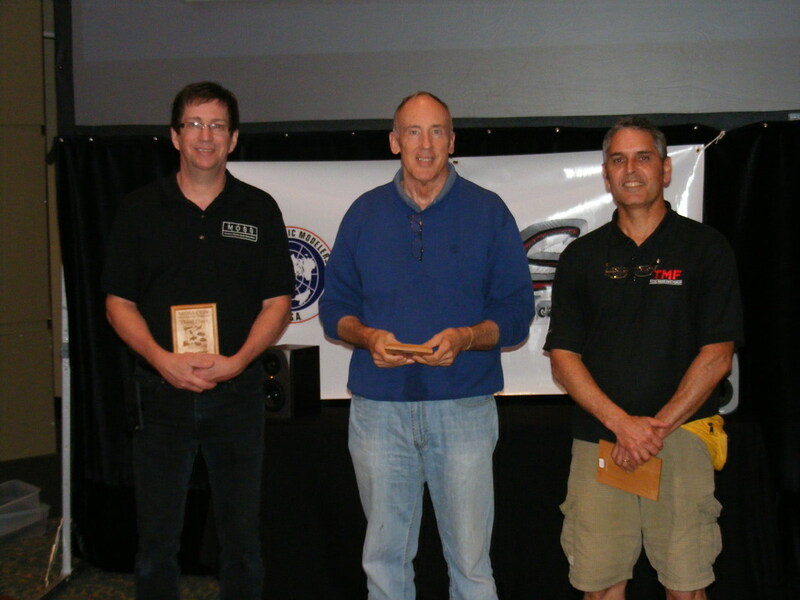 Sponsored by IPMS/Prison City Modelers, this award was presented to Bill Loden for his Revell 1:24 Fokker DR 1. 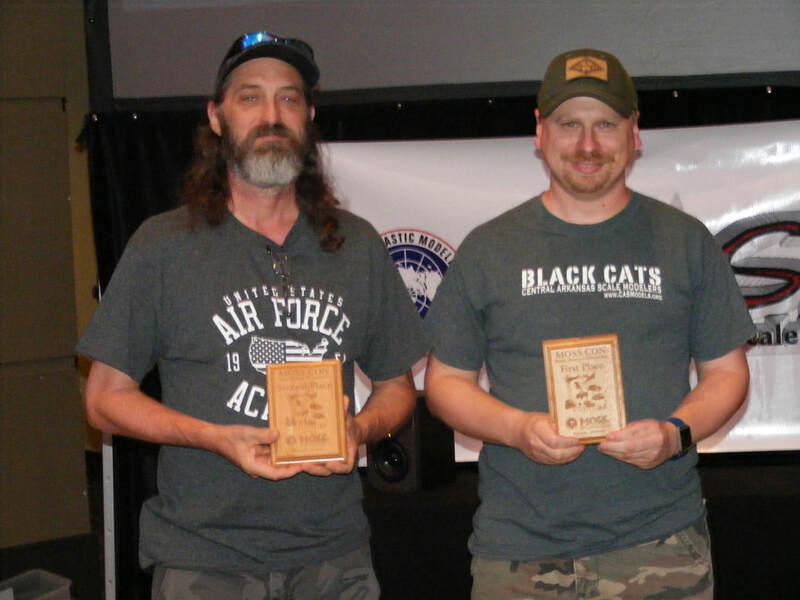 ​ 2017 marks the 75th anniversary of the Doolittle Raid and the Battle of Midway, both of which were significant turning points during World War II. 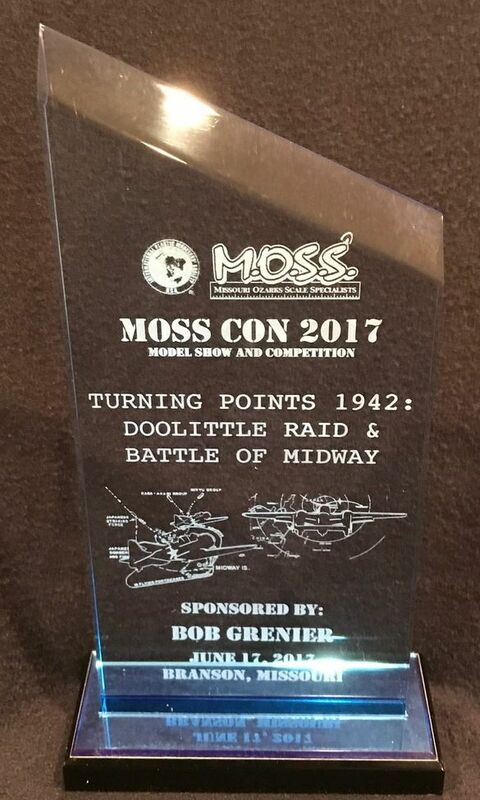 MOSS wanted to commemorate those events by offering the Turning Points 1942: Doolittle Raid / Battle of Midway award. 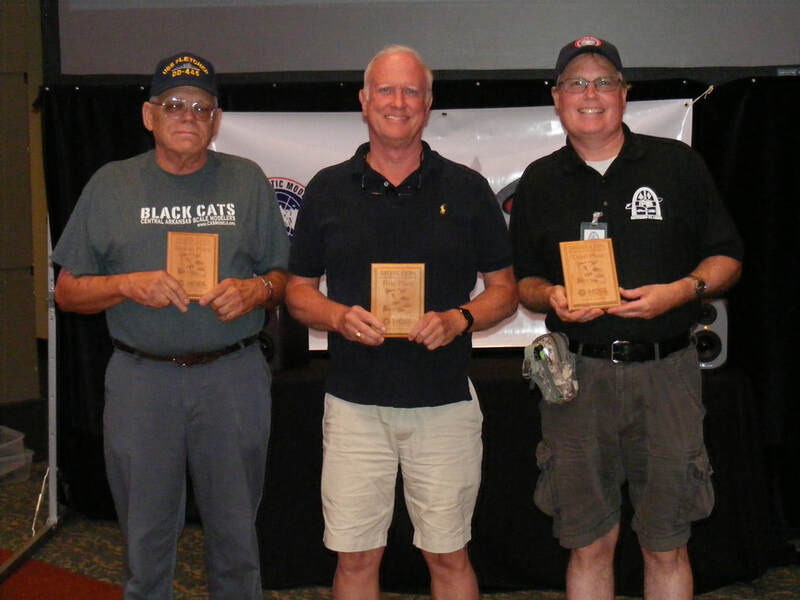 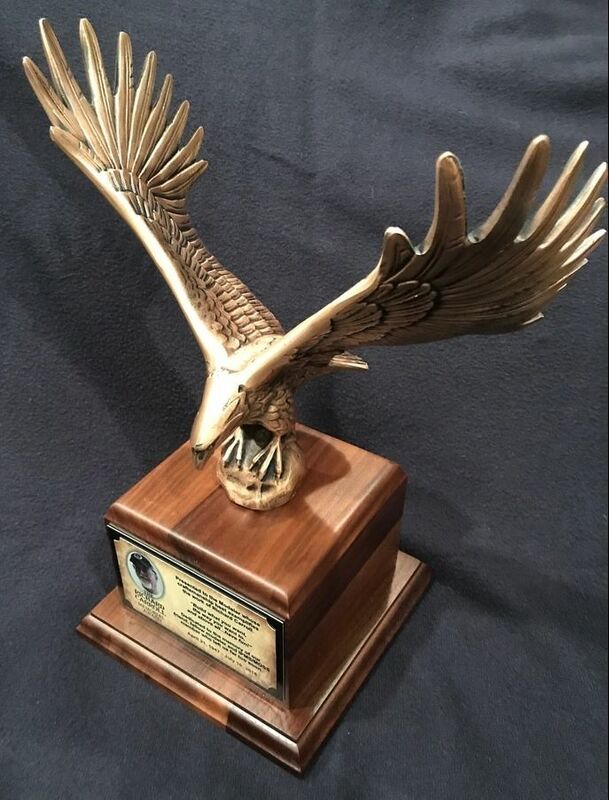 This award, sponsored by IPMS/MOSS member Bob Grenier (who was born in 1942), was presented to Greg Kittinger for his Hasegawa 1:72 SBD Dauntless. 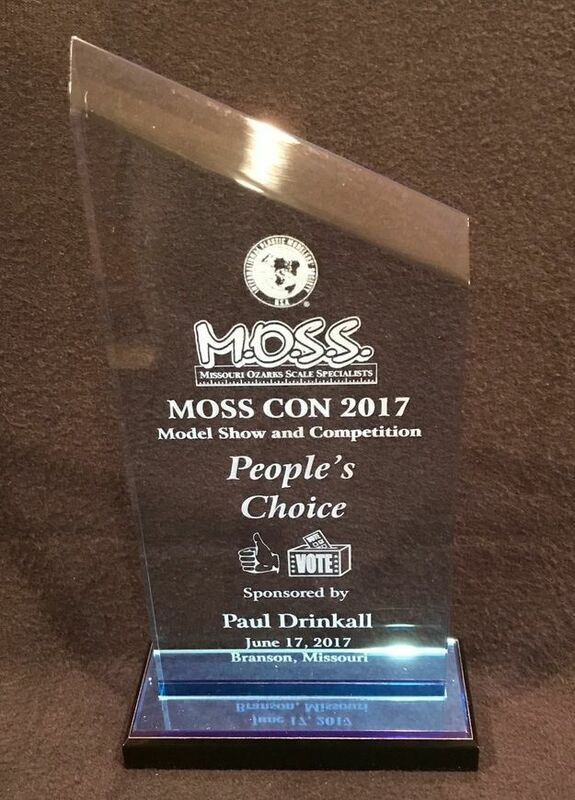 All MOSS CON attendees are given a ballot to vote for the People's Choice award. 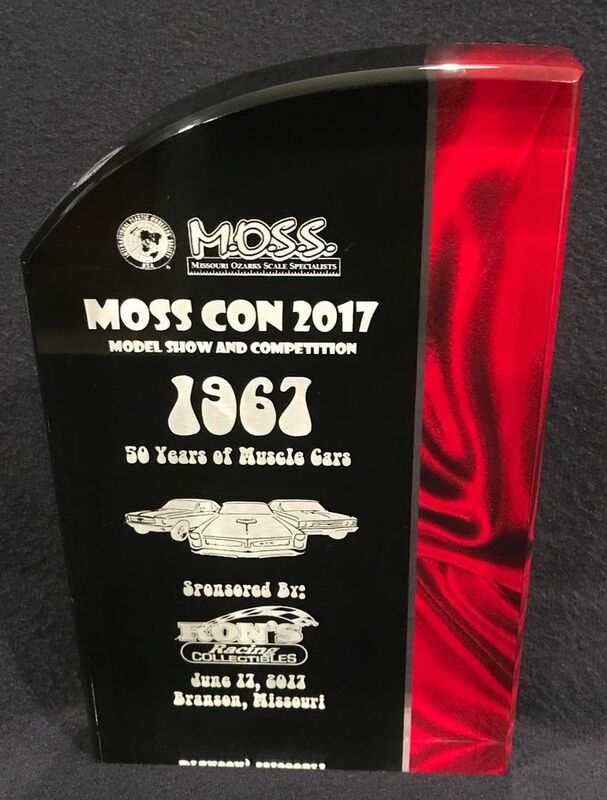 A total of six models had votes cast for consideration of this award, but the 2017 People’s Choice award, sponsored by IPMS/MOSS member Paul Drinkall​, was presented to Bob Hiatt for his Trumpeter 1:200 KMS Bismark. 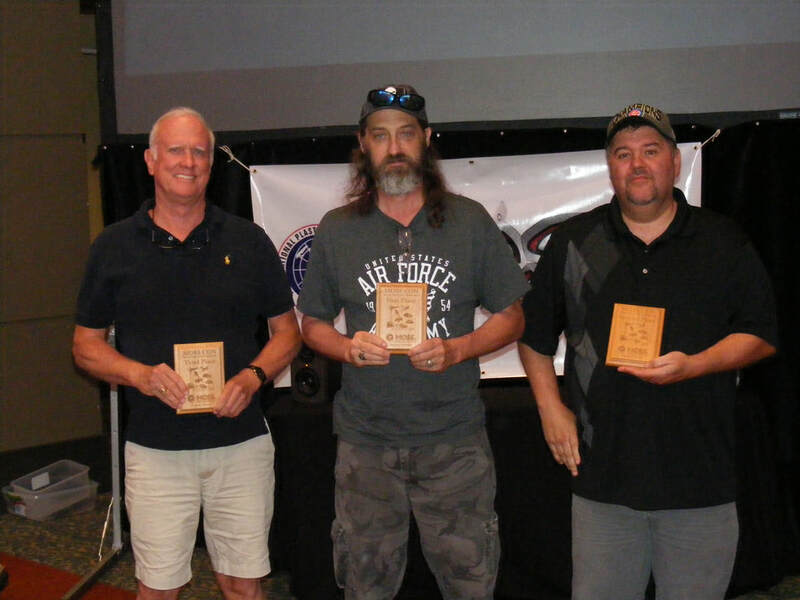 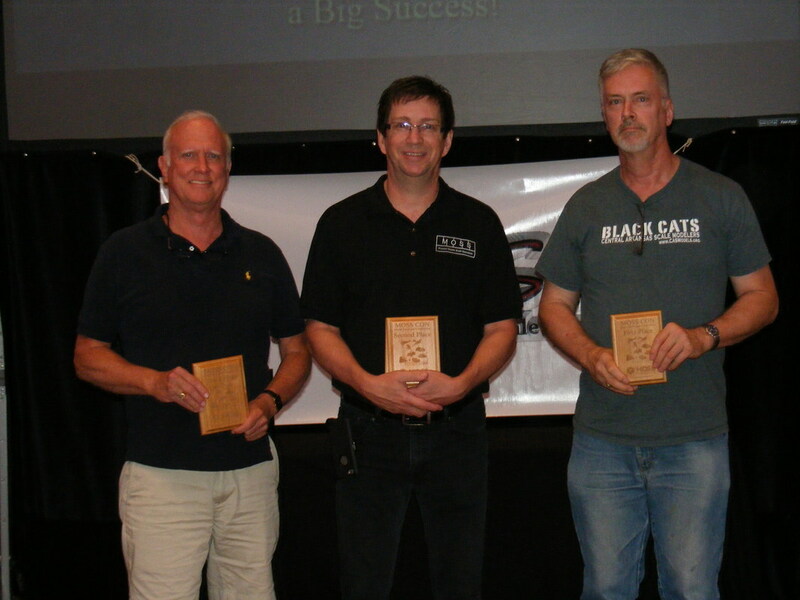 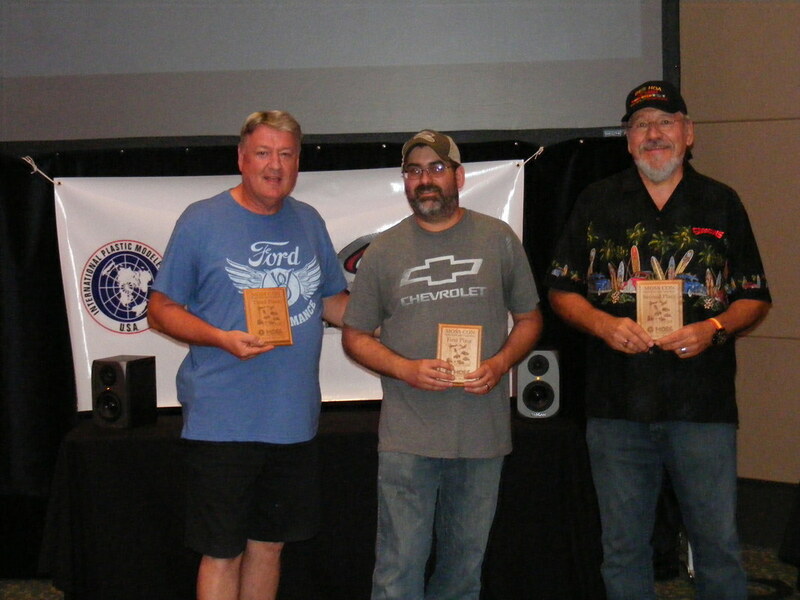 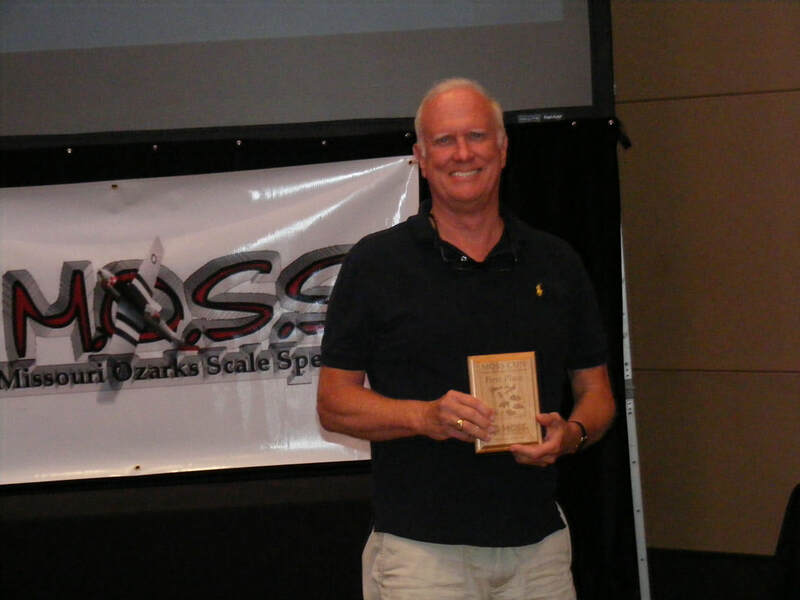 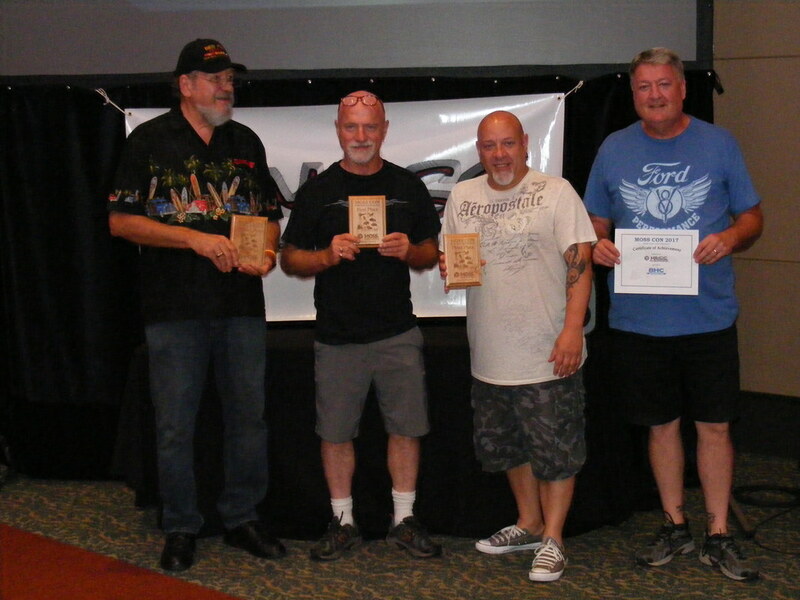 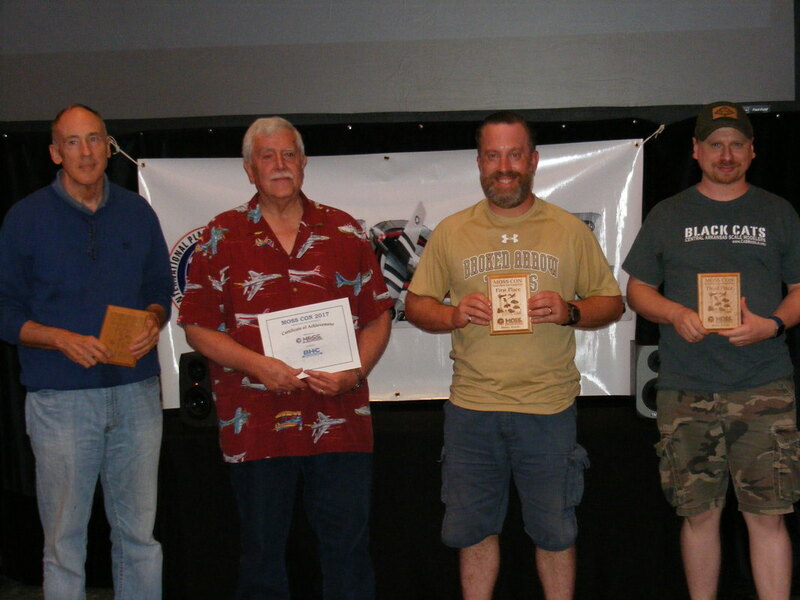 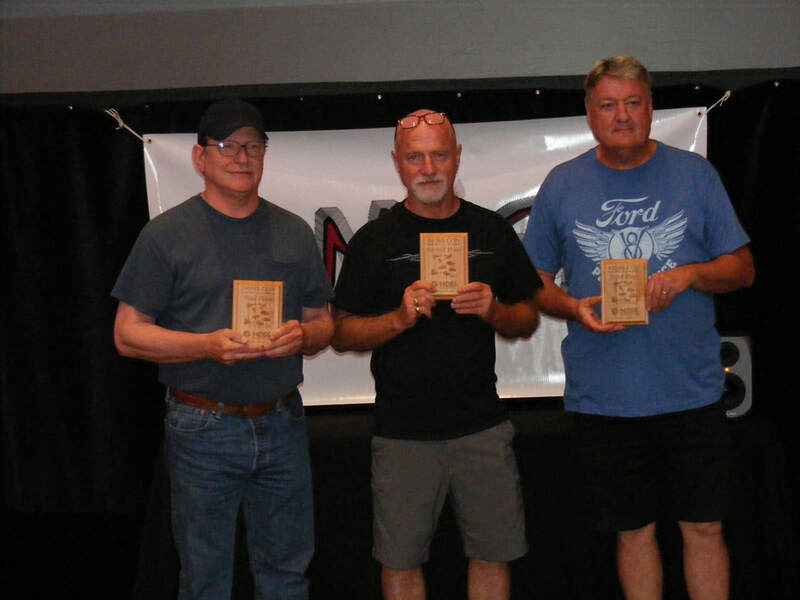 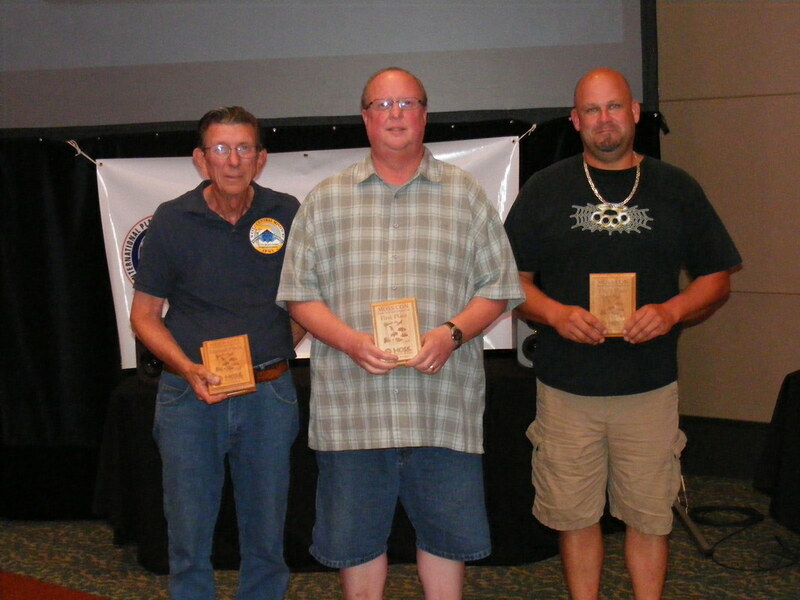 The first annual Richard Carroll Memorial Award was presented to Ken Leslie for his Monogram 1:8 1932 Ford Drag Car, which the judges determined would be right along with Richard's sense of humor in model building! 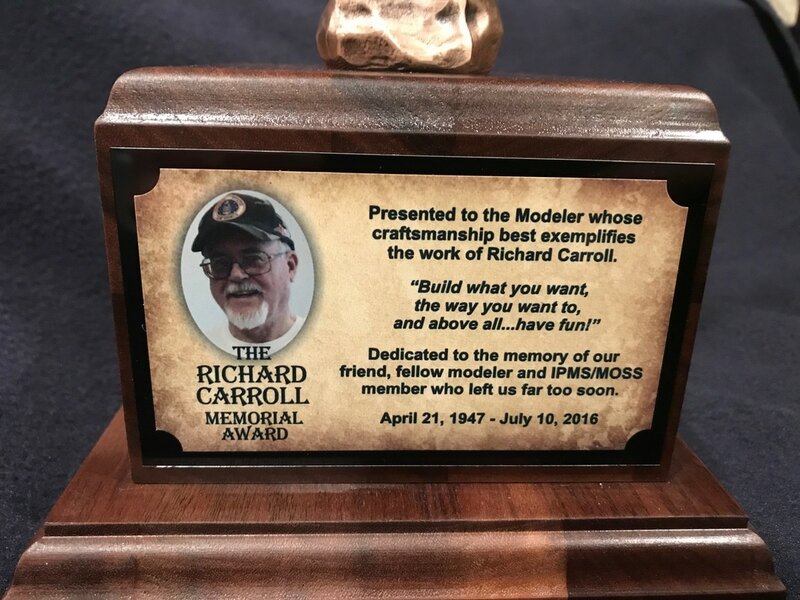 This award is to honor the memory of our friend and fellow modeler, Richard Carroll, who passed away in July 2016. 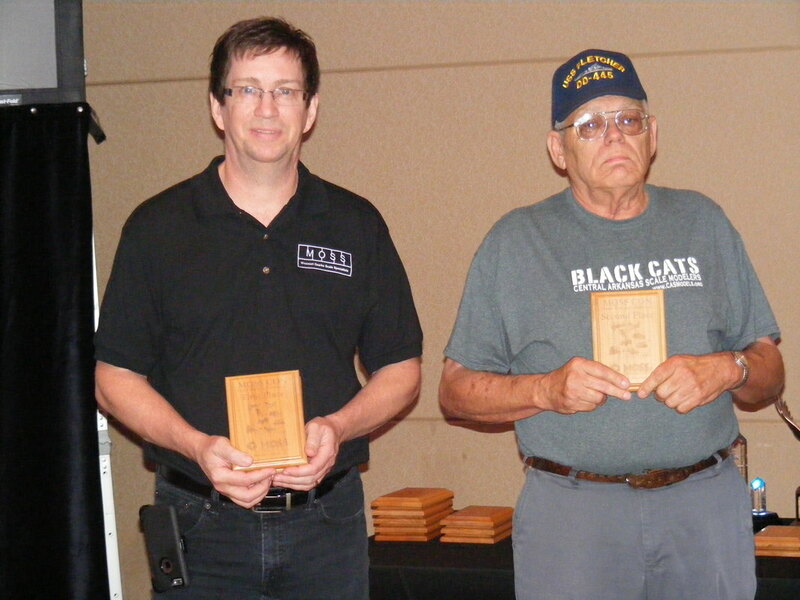 The RCMA is awarded to the modeler whose model best represents Richard's style, taste, and model building preference. 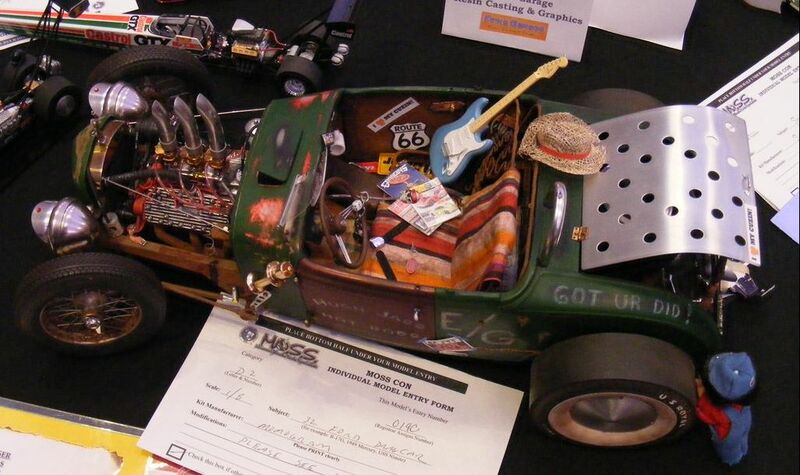 ​"Build what you want, the way you want to, and above all...have fun!"